All the benefits of a microcurrent treatment in a petite, portable and powerful device. The mini delivers unparalleled professional results and is easy to use in as little as 5 minutes per day. 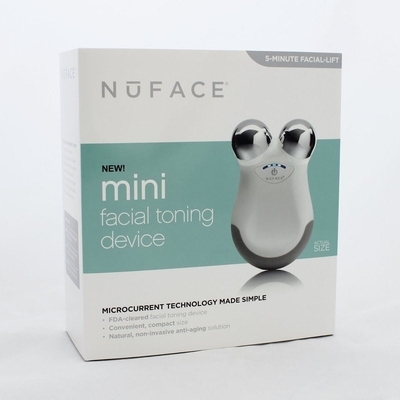 It stimulates the larger surface areas of your face and neck with gentle microcurrent, going beyond skin deep to improve facial contour, facial tone and the appearance of fine lines and wrinkles.Shown to improve facial contour, facial tone, and reduce the appearance of fine lines and wrinkles.